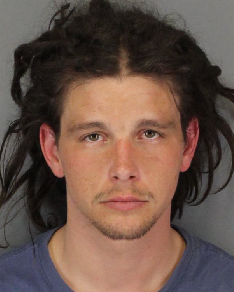 Jeffrey Wihite, 29, of Stockton, Calif.
Lodi, Calif. - A traffic stop led to the recovery of a stolen car and the arrest of a man suspected of possession of methamphetamine and stolen mail. At approximately 6 p.m on Wednesday, April 26 a Lodi Police officer stopped a silver Acura TL near Cochran Road and Lower Sacramento Road for having no license plates attached. A records check of the car being driven by Jeffrey Wihite, 29, of Stockton, revealed it had been reported stolen out of Tracy, Calif.
A search of the car led allegedly to the discovery drug paraphernalia and hundreds of items of possible stolen mail from other cities. The driver, Jeffrey Wilhite, 29, of Stockton, was arrested for possession of a stolen vehicle, possession of a controlled substance, possession of drug paraphernalia, misappropriation of personal property, vehicle theft, and forgery charges. No Comment to " Lodi Police Recover Stolen Car, Arrest Suspect in Possession of Meth, Stolen Mail "